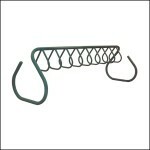 Pipeline Bike Rack – Series 15 | Frances Andrew Site Furnishings Ltd. Height (from ground): 30” (76.2 cm). 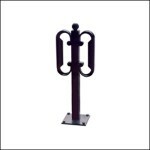 Metal Info: All Pipeline Series 15 bike racks are constructed of 3”(7.5 cm) diameter aluminum tubing. 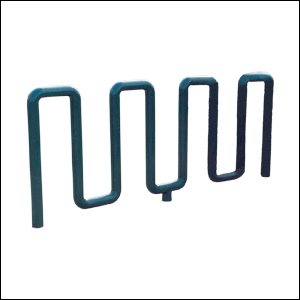 Metal is coated with polyester powder, electrostatically applied, and baked at a high temperature to produce a mar-resistant finish.